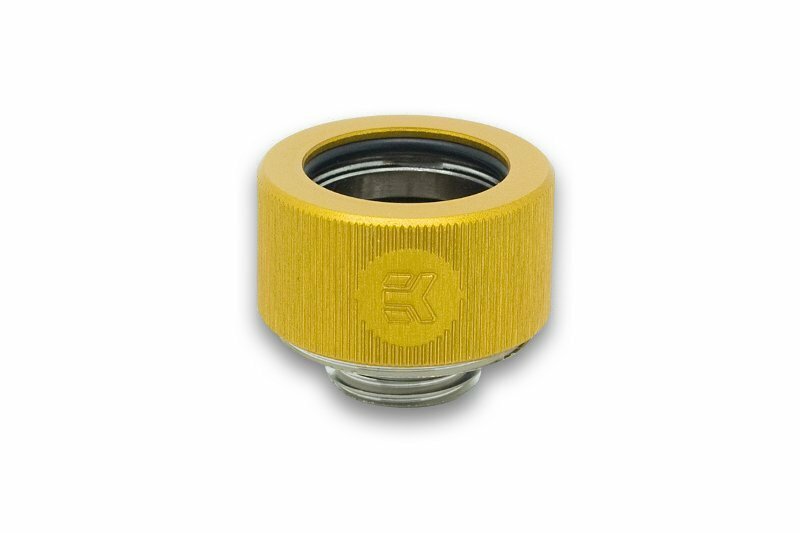 EK-HDC Fitting is a solid-tube compression fitting, designed for use with solid tubing such as Acrylic, Copper, Stainless Steel or any other type of compatible hard tube. EK-HDC Fitting is a more secure variant of the EK-HD Adapter fitting as it prevents solid tube to be pulled out of the fitting by compressing the rubber gasket underneath the ring. 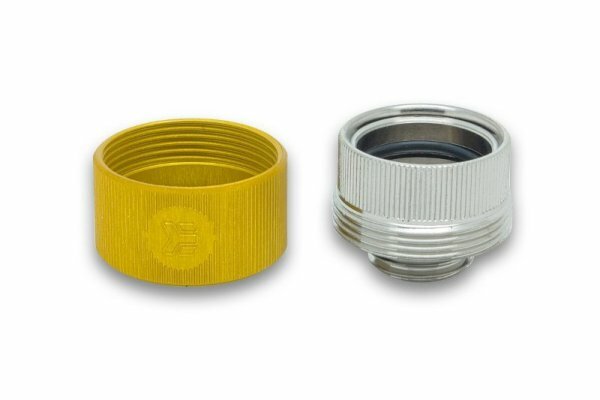 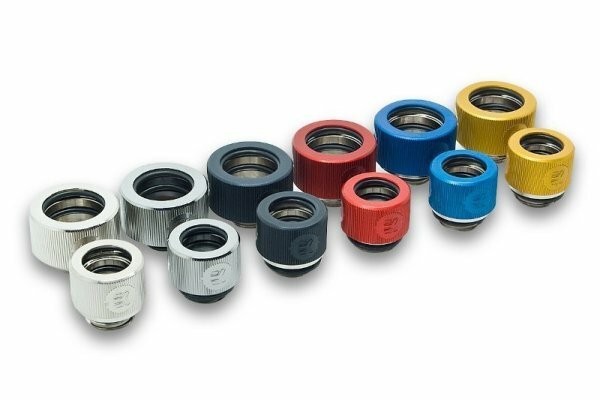 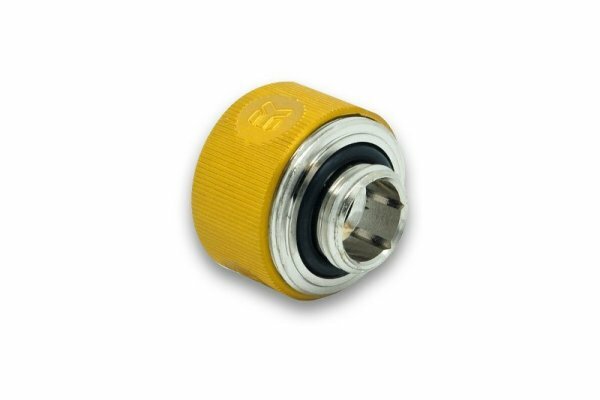 The barb is made of nickel-plated CNC machined brass while the ring is made of gold anodized CNC machined aluminum and feature quality O-rings. 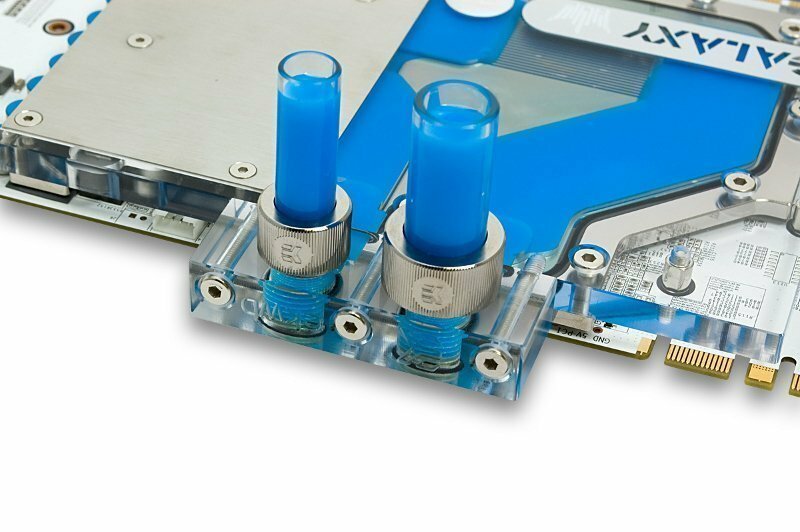 These fittings are fully compatible with EK-CSQ series (45°/90°) angled adapters. 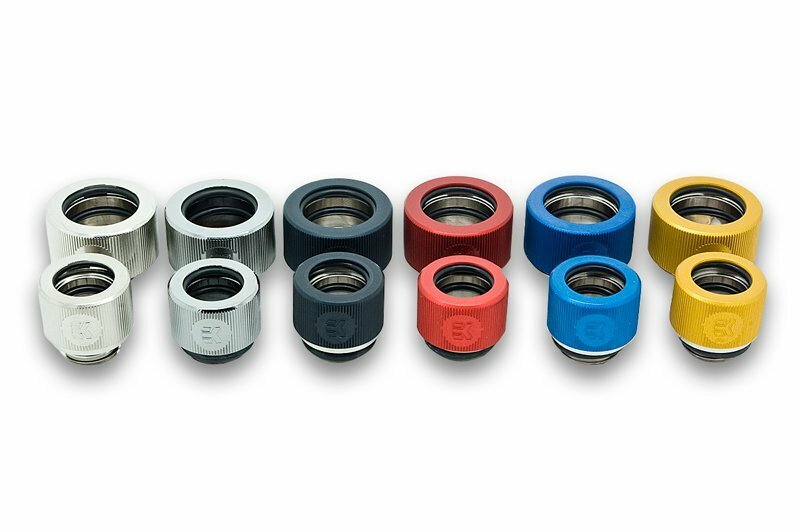 Best practice is to install these fittings using Allen Key 9mm (not included, available for separate purchase). Technical data: – thread: G1/4″ BSP; 4.5mm male thread lenght – supported tube: 16mm (OD) – outer diameter of a fitting: 23.8mm – installed height: 14.5mm – compatible tubing: solid Acrylic-, Copper-, Brass- or Stainless Steel tube ROHS Compliant! 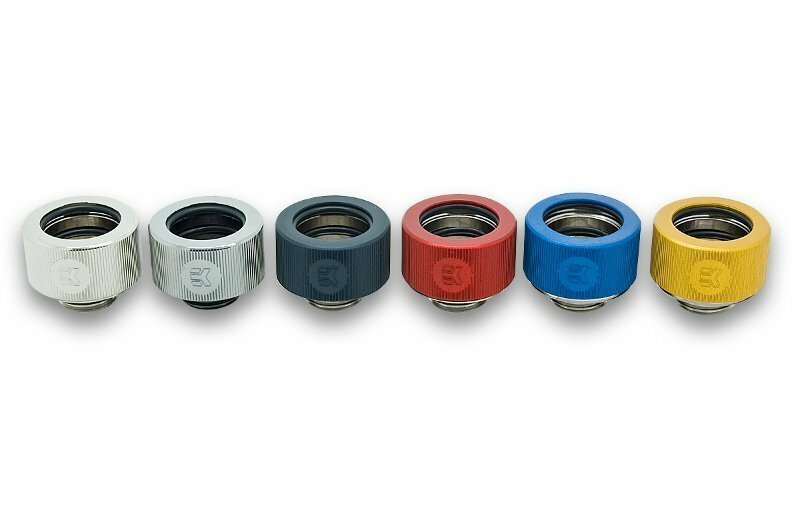 Made in Slovenia – Europe!